Employee-owned Hatfield Colliery, Yorkshire, has ceased production of coal 12 months earlier than planned. BIS Minister Anna Soubry reportedly refused a last minute request by local MP Ed Miliband and the mine’s chair, John Grogan, to provide a £12m loan to the mine to stay open for a further year. Grogan blames the UK’s carbon tax, the highest in the EU, and believes closure is a “false economy”, depriving a year’s worth of revenues to the Treasury. Now, 428 miners and support staff face redundancy. Ed Miliband has called a debate in the House of Commons on Thursday. It looks like imported coal will burn in the Northern Powerhouse. 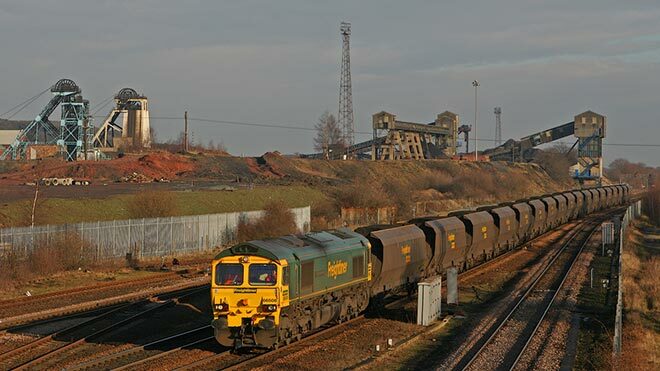 “Hatfield has been unable to sell its coal because of the government’s refusal to sponsor coal contracts with generators and the doubling of the UK’s carbon tax,” Prospect negotiator Mike Macdonald said today. John Grogan, Chair of Hatfield Colliery Employment Benefit Trust, said that faced with dramatic falls in world coal prices earlier this year the Government had agreed to £20 million of EU-approved State Aid to enable the colliery to complete its business plan and mine until planned closure in Summer 2016. The Coal Producers’ federation repeatedly warned government that energy companies would stockpile cheap coal in advance of the increase in April, destroying the domestic market for Hatfield coal. Ed Miliband approached the big electricity generators on behalf of Hatfield, after the Government declined to do so, making some progress, including with EDF Energy. Closing Hatfield is short sighted. Drax, the largest coal plant in the EU, will host the White Rose carbon capture project. The 450MW coal-fired CCS plant will create 1,250 skilled construction jobs, 60 operational jobs and further indirect supply and maintenance posts. It will capture 90 per cent of the plant’s CO2 emissions, building a 200km pipeline to a CO2 storage basin under the North Sea. The CCS pipeline is deliberately oversized, and be capable of transporting 17 million tonnes of CO2 emissions a year from a cluster of power, chemical, steel, cement and other industrial sites across the Yorkshire and Humber region. This is one third of the region’s annual CO2 emissions. But it will burn Russian and Colombian coal. • £50 million in income tax and NI to HMRC from mine workers and supply chain employees. A touch late in reading your report Philip and apologies. Is it not ever possible for a Conservative government to be long term creative? All they ever do is cut costs & they further cut costs, all in the game of market forces! The human costs of escavating coal from Colombia of course is not taken into account and we know their record in civil war crime, drugs, corruption, extortion, innocent deaths is abissmal. Also what is the real environmental costs of shipping all that dirty coal (if it still is) all the way over here? Your last main paragraph says it all and thankyou for this blog.